As state officials look for ways to stimulate New Mexico’s economy and create more jobs, supporters of efforts to restart uranium mining operations in the state were handed a stage to make their pitch to legislators at this week’s meeting of the Economic and Rural Development Interim Committee in Grants. “The world demand for uranium would double if the proposed nuclear reactors are built,” said Barbara Brazil, Deputy Secretary of the state’s Economic Development Department. According to estimates from the International Atomic Energy Agency, there are currently 440 operational reactors in the world – 104 of which are located across the United States. Industry estimates that the state’s uranium reserves will be worth approximately $31 billion dollars are based on economic assumptions that the price per pound of uranium would hold steady at $90 to $100 per pound over a 30 year period. However, a more likely scenario is that the price will fluctuate. The laws of supply and demand can be a pesky critters. For example, in 2000 the price per pound of uranium was $6 – and as of July 25 of this year, the uranium price per pound was $51.50. Metal mining in the state doesn’t have the best track record in terms of economic stability. According to a 2008 report prepared for the New Mexico Environmental Law Center, the state has been through many copper mining boom and bust cycles, as well as one previous uranium boom and bust cycle (circa 1948 – early 1980s). Also, another hardly insignificant issue touched on with regard to NM’s uranium reserves was the potential jurisdictional issues that can arise. Some of “the state’s” uranium deposits are located on Indigenous lands. Outrage over the Public Service of New Mexico’s plan to raise rates on New Mexico customers while paying its top executives millions has prompted one local group to form a “Shame Campaign” against PNM. Prosperity Works, a nonprofit that works to bring energy efficiency and economic stability to New Mexico families, recently launched the campaign after the Albuquerque Journal reported that PNM’s new top executive, CEO Pat Vincent-Collawn received a $1.22 million bonus in addition to her $550k salary, for a total compensation of $1.7 million. The company’s other top four officers received bonuses ranging from $166,466 to $525,466, and the chairman of PNM’s board was paid $1.2 million, for a total of about $ 5 million in bonuses. This news comes approximately one month before PNM’s hearing before the Public Regulation Commission regarding its request to raise New Mexico’s rates by $85 million, as well as charge an additional $20 million in fees and riders. The New Mexico Public Regulation Commission has refused to accept a utility rate hike settlement proposed by PNM that some groups called secretive and unfair. The PRC acted Feb. 17 to reject the settlement, which would have allowed PNM to raise rates by almost eleven percent. That settlement had been strongly opposed by New Energy Economy and other parties on various grounds including legality, due process and adequate public notice. In its action yesterday, the PRC said it would only consider an uncontested settlement or stipulation when considering a future rate hike. It was the week that wasn’t. A senator introduced a “zombie bill” to once again try to kill greenhouse gas emission rules. Harrison Schmitt withdrew his name from consideration as Secretary of the Energy, Minerals and Natural Resources Department. Uranium boosters and conservation advocates united to defeat a uranium-mining bill. And the week culminated with the Rev. Al Sharpton addressing a joint session as part of the annual African-American Day at the Legislature. The week kicked off Monday with a sizable immigrant rights rally at the Capitol to protest Gov. 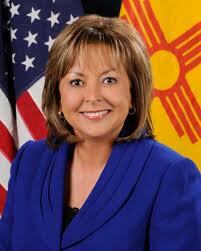 Susana Martinez’s executive order mandating inquiry about immigration status of criminal suspects and her plans for legislation to revoke driver’s licenses for undocumented immigrants. The first of the bills to strip immigrants of licenses, HB 261, died Thursday in a House committee. Rep. Andy Nunez, (I- Hatch) has announced that he will sponsor HB 78, which, in addition to containing language similar to HB 261, also includes a measure to cancel existing licenses that have been issued to illegal immigrants. Six local watchdog groups have filed statements in opposition to PNM’s plan to raise rates for electric service in New Mexico, saying the company negotiated the rate hikes in secret and without input from customers and other parties opposed to the rate hike. The state’s largest electric utility had announced recently that it would seek a rate hike of as much as 25 percent on residential customers. 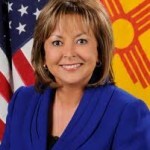 Subsequently, executives from PNM, along with members of the Public Regulation Commission and staffers from the office of the New Mexico Attorney General carried out negotiations regarding the rate hike and came up with a figure that appeared much lower. Now representatives from six citizen’s advocacy groups say the groups negotiated the hike behind closed doors and did not take input from the people who will most be affected – the customers. The groups also say the negotiated agreement contains measures that will make it very easy for PNM to charge customers more again in a few short years.